With each passing day cloud services are gaining popularity. Today it is difficult to find a company that does not use any cloud services. Transferring your 1C databases to the cloud will give you additional advantages in dealing with competitors and will allow you to develop your business. Performance - Cloud server resources are virtually limitless. Due to this, it is possible to allocate to the server 1C the necessary parameters, under which there will be no freezes in the system. mobility - allows you to instant access to your databases from anywhere in the world. It is enough just to have access to the Internet. scalability - at any time you can change the configuration of the server as needed. You can both increase performance and reduce it. security of your data - No risks in the security and safety of your data. Cloud servers run on powerful and fault-tolerant equipment. Servers are located in data centers around the world, mainly in Europe and America and are provided with stable power and Internet. You can configure regular backups of all data and restore data in a short time. portability - There are no bindings to the cloud server. You can always refuse to use the cloud and move the database to local computers. the minimum starting costs - you pay a small monthly fee for the use of the server. We provide you with a high level of service, configure and connect users, install updates, etc. the availability of a stable Internet - but nowadays Internet is everywhere aand this should not create additional problems. Microsoft is one of the world leaders in the field of cloud technologies. Micosoft Azure products provide the most performance and security - So we choose Azure! Microsoft Azure is Microsoft's cloud platform: a growing set of integrated services-computing, storage, data, networks, and applications that allow you to move faster, perform additional actions, and save money. Azure is a collection of Iaas, Paas and SaaS in one solution. There is no need to make a choice between own data centers and a public cloud - hybrid solutions using Azure will expand the possibilities of private IT infrastructure. Azure supports a wide range of operating systems, including Windows Server, Ubuntu and Oracle Linux, all popular languages ​​and platform development tools. Azure is the optimal price-performance ratio. With one movement of the slider you increase the productivity of the solutions. And reduce or completely disconnect, when there is no sense to overpay for unused resources. 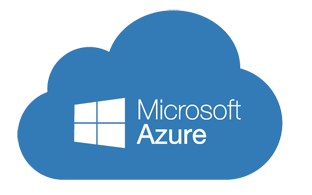 With the cost of services for transfer the 1C system to the Azure cloud and with options for monthly payment for renting the Azure cloud, you can get acquainted by downloading the price list of services on our website. 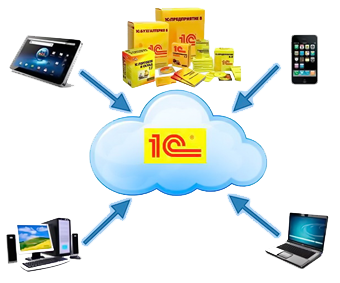 Transfer your 1C to Cloud and get more opportunities!